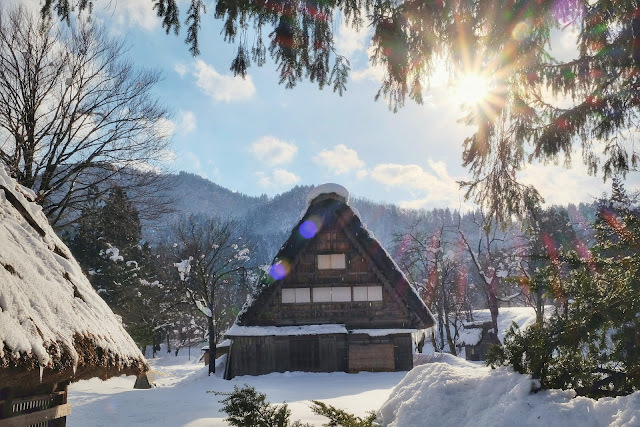 I've always been fascinated by Shirakawa-go since the day I laid my eyes on a picture of a traditional Japanese village covered in snow. Samurai village! That's what I thought when I saw it on Instagram feed a couple years back. I started nagging to my old friend, Google to dig as much information possible about this village. Where it is and how to get there, kind of stuff. But it was not until my 5th visit to Japan that I finally made it here. Roughly it's about 320 km or more less 5 hours bus ride (including 2 toilet breaks) from Osaka to Shirakawa-go. First thing first, a late lunch at Soba Wakimoto located near the entrance of the village on the west side. The restaurant is also a traditional house so I got to experience the rustic ambiance. After removing my shoes before stepping onto the tatami platform, I was then led into a zashiki area. It's a traditional Japanese restaurant seating arrangement featuring a low table set on tatami flooring. We have similar arrangement here in Indonesia, called lesehan. Soba Wakimoto is actually a soba shop but also serves Hida beef bowl and other traditional dishes. 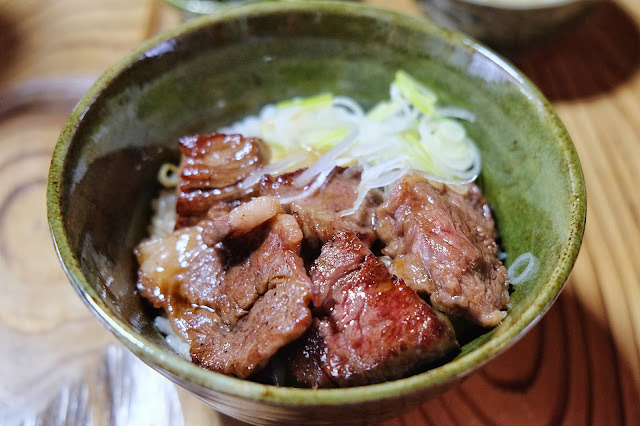 Hida-gyu or Hida beef is the name given to beef from a black haired Japanese cattle breed that has been raised in Gifu Prefecture. To be honest, these past years I rarely eat beef and lamb because most of the time I get headache after eating red meat. I did ask my doctor about this and turned out it's a common thing. But while in Gifu area, I feel the urge to at least taste this famous meat which is ranked one of the highest quality in Japan. Beside a beef rice bowl, we also ordered a portion of Hida beef steak. The meat is brown on the outside, while still remaining its redness in the centre. As expected the cube-cut meat was tender and cooked into medium perfection, with some juice oozing out when I bite it. Sauce tasted light too so it didn't overpower the meat. Just a hint of salt with umami aftertaste. Delectable indeed! However to me it was slightly gamy and after a few chunks of meat, I needed to clean my palate with some pickle and put down my chopsticks. In my opinion comparing to Kobe beef, Hida beef is fattier hence it left a buttery taste on my palate. Shirakawa-go was declared a UNESCO World Heritage Site in 1995, famous for its historical farmhouses called gassho-zukuri. The thatched roof looks like a gesture of hands pressed together, that resembles a prayer or a sign of greeting, gratitude or apology. 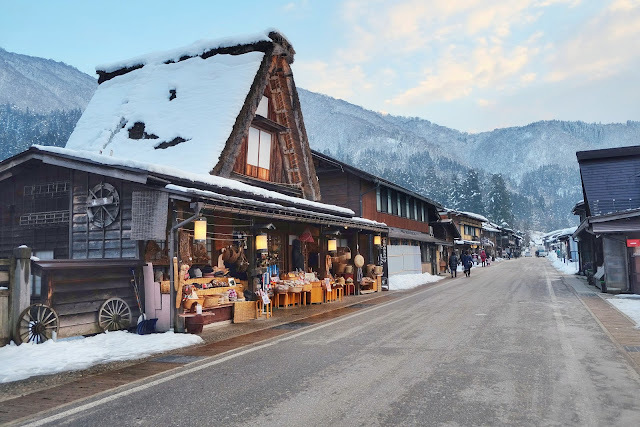 Apart from Ogimachi, the largest village that I visited, there are also two other villages in Gokayama region named Suganuma and Ainokura. They have existed since 11th Century and most of the houses are more than 250 years old. 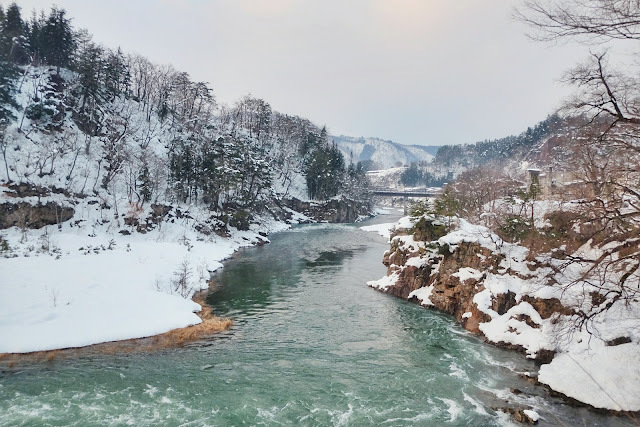 From the parking lot, we needed to cross the suspension bridge to reach Ogimachi village. My sister and I decided to visit Shiroyama viewpoint before exploring the village. 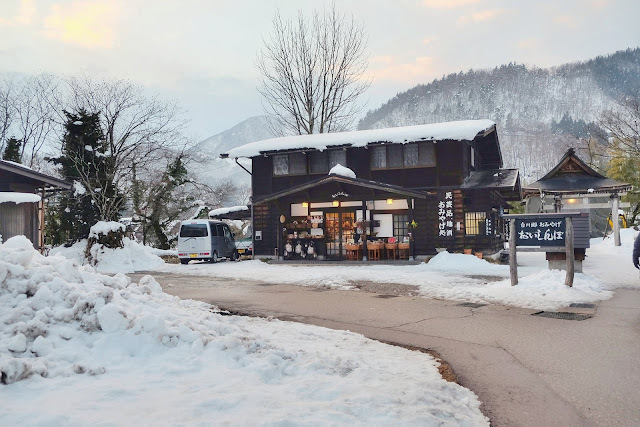 Because during winter the last shuttle bus to Shiroyama viewpoint leave at 15:40. You can actually walk up for 15-20 minutes to the viewpoint via the walking trail. Unfortunately the snow was pretty thick and I didn't wear proper winter shoes, so we settled with the bus instead. The shuttle ride costs ¥200 per person, takes only less than 10 minutes each way. I got a bit lost when trying to locate the bus stop. Everything hidden under the thick snow, including the bus stop sign! 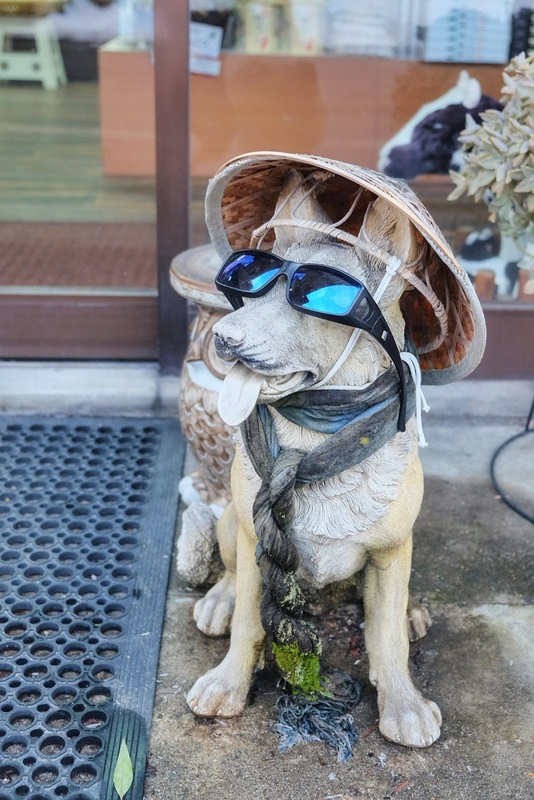 Turned out it's located near the Wada-ke house, one of the wealthiest and village leaders of Ogimachi. It's the largest gassho-zukuri and now open to public as a museum. who lets the dog out! Back to the village, I ventured to smaller path behind the main street. There was nobody around so I could explore the area freely while admiring the historic houses with its stunning environment. 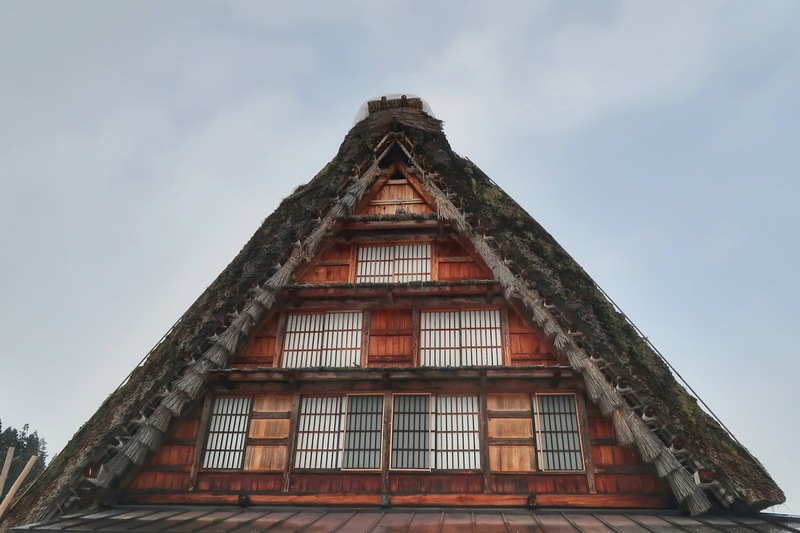 I was amazed by the fact that the wooden houses were built without a single nail or brackets. Complex joinery, ropes and strips of hazel wood hold the beams together. The roofs were steeply angled to prevent the snow from piling up. I was told that during summer the straws keeps the houses cool. Besides several souvenir shops and eateries along the main street, there are also some farmhouses turned museums in Ogimachi village. Sadly most of them were already closed when I get back to the village. Actually I really wanted to stay overnight to experience the unique traditional Japanese farmhouse stay. But it's kinda tricky to find a minshuku or family run Japanese B&B that fit for my big family so this time I had to settle with a day trip only. Shirakawa-go is easily accessible from Takayama and Kanazawa via bus. I was travelling by a private bus from Osaka since it was easier for my family of 20 pax and stayed overnight in Takayama. 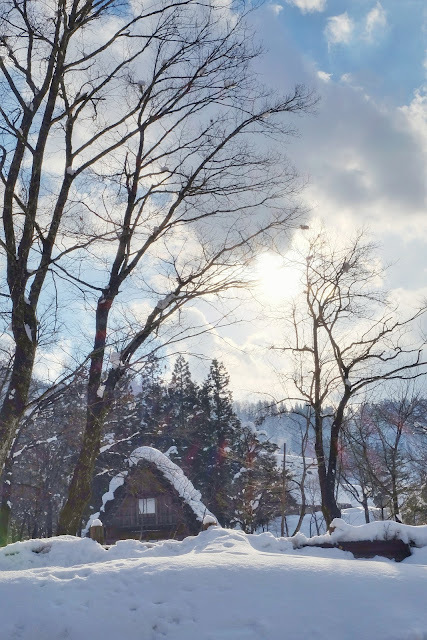 That afternoon I certainly left Shirakawa-go with a heavy heart. But I knew it wouldn't be my last visit. I plan to come back and will stay longer maybe in spring or autumn season. 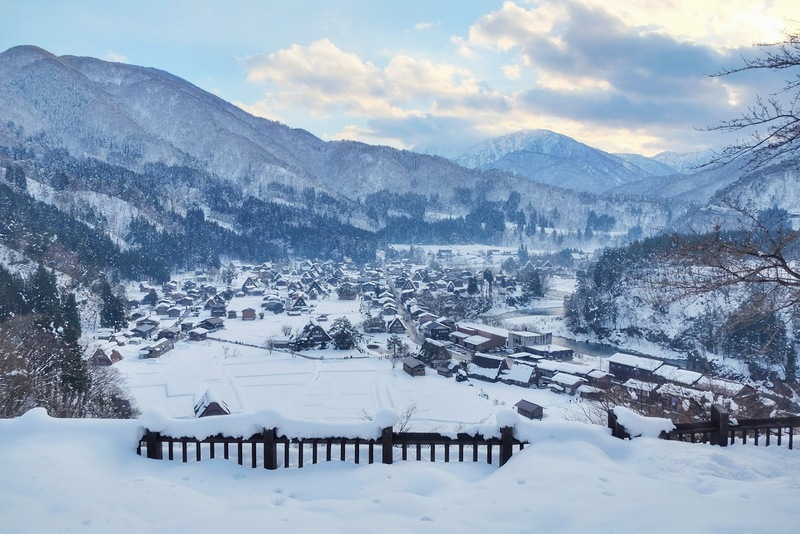 I do think Shirakawa-go can be enjoyed all year long and look equally beautiful. 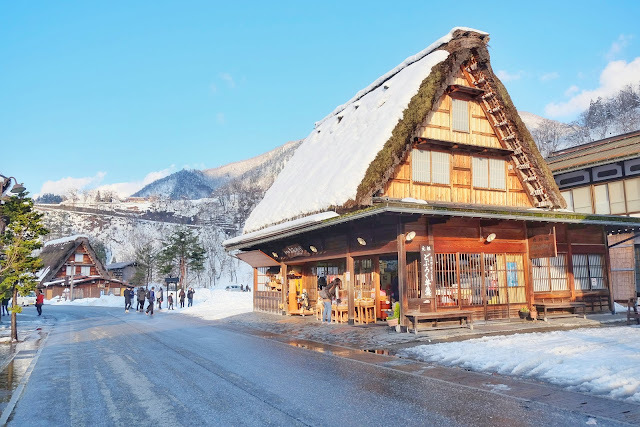 Mata aimashou, Shirakawa-go! Oh, Shirakawa-go is so cute! It's like something out of a movie! I'm a bit scared by the suspension bridge, but if it's the only way to get there, then ok! The views you got from Shiroyama viewpoint were amazing. The Hida beef looks delicious too. No wonder you can't wait to get back! What lovely pictures! This is what I love the most about Japan - you name it and they have it. 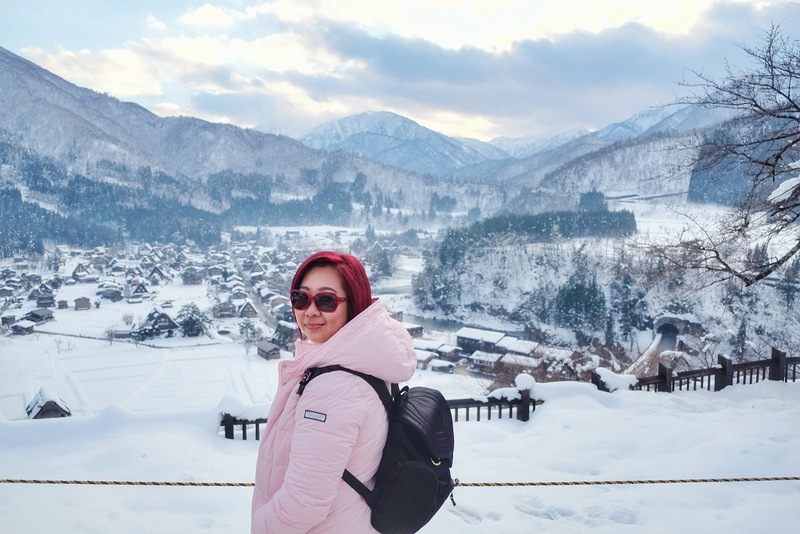 From a lively, happening city like Tokyo, to a cultural one like Kyoto, from history to beautiful landscapes, beaches and even snow! 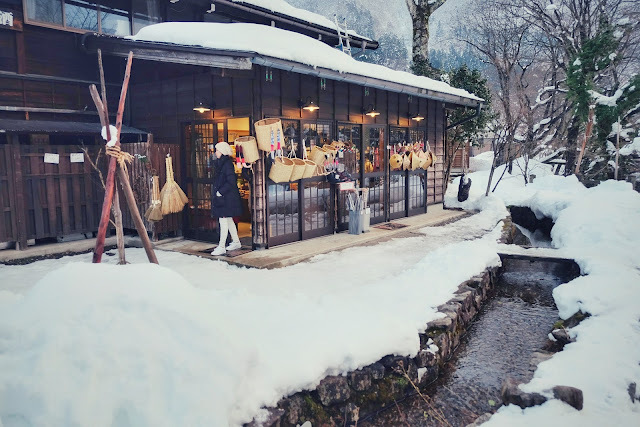 I don't think even 2 weeks are enough to explore Japan (which is the amount of time I had) because places like Shirakawa-Go and many other like it don;t even feature in the itinerary of a first time visitor but are equally, if not more, pretty! Thanks for this post, I've learned about yet another lovely destination in Japan today. I love Japan, both her cities and towns have something unique to offer to tourists. 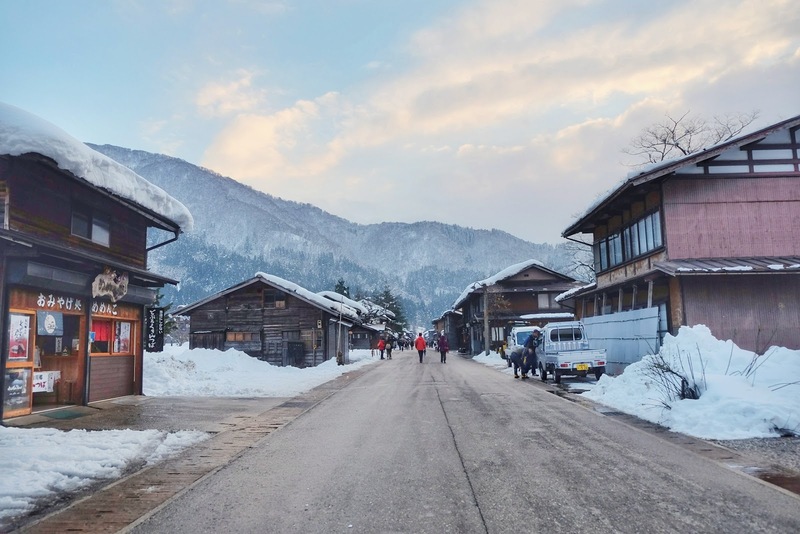 Shirakawa-Go is such a beautiful village. It's like straight outta movies. And there the Hida beef, just pull me over and I'll spend my entire savings here. 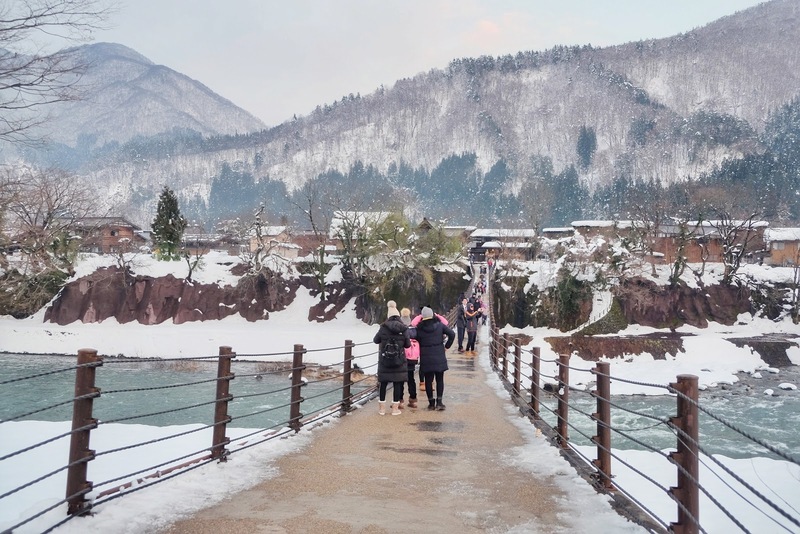 Thanks for making me Tavel in pictures to Shirakawa-Go. You're pictures are beautiful. 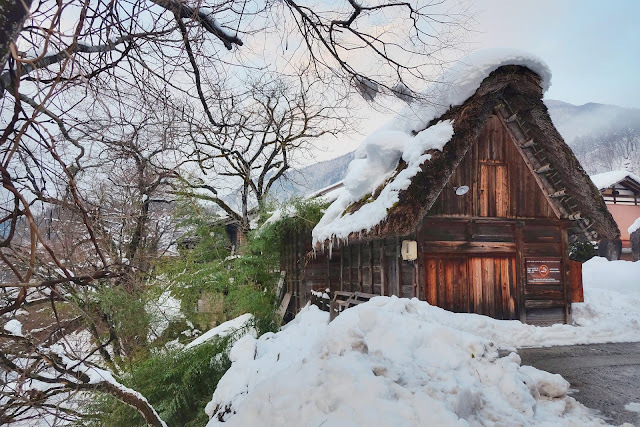 Shirakawa-go under a blanket of snow definitely looks like it’s been ripped from a fairytale. I love the historical farmhouses, they’re so beautiful – I can see why the town has been given status by UNESCO. It’s funny, I wouldn’t have pictured this type of setting in Japan, Europe maybe. 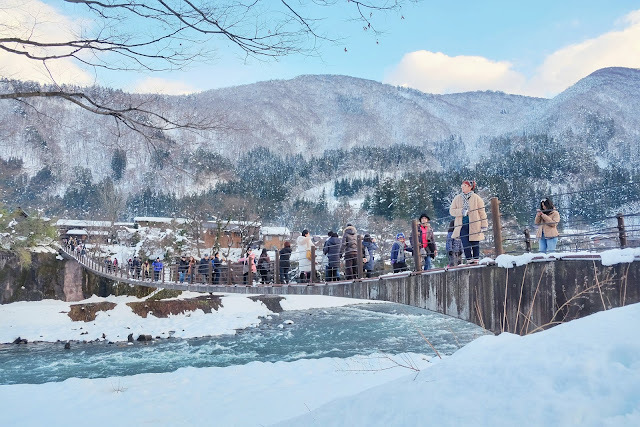 The suspension bridge over the Shokawa river is a scene which looks too beautiful for words! 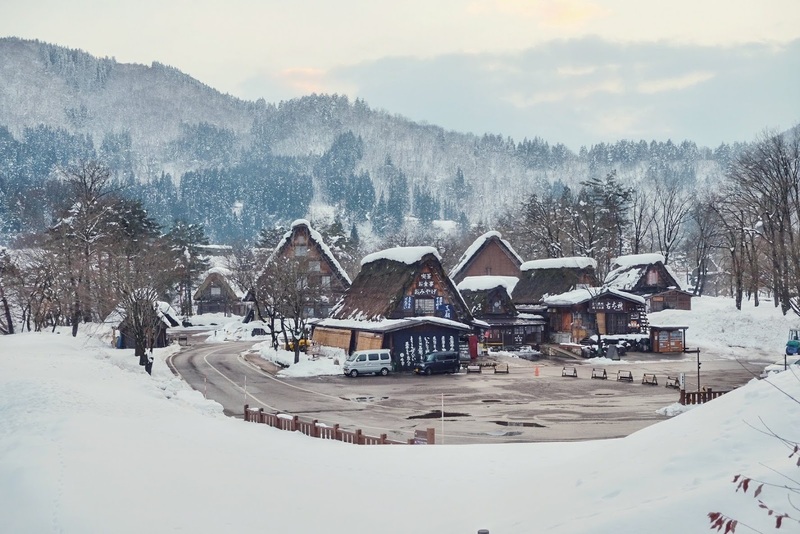 I've never heard of Shirakawa-go, but now this is topping my list for a trip to Japan! It looks so beautiful. I love those historical a-frame farmhouses. They're so cute! Thanks for sharing tihis gorgeous destination that I'd never heard of before. Wasn’t sure how my comment didn’t go through. But anyhow, I also did watch your video :)) now I’m inspired to also create a video out of my blog post. Wow, what a magical city. 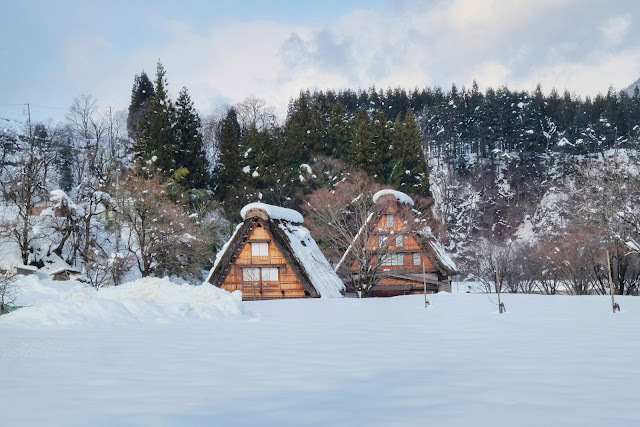 Japan is on my must visit list and I'd never heard of Shirakawa-go until now. The thatched roof farmhouses are certainly a wonder to behold. Hida beef, sounds and looks delicious. It's always so much fun exploring the local dishes of new places. Thanks for the inspiration and introduction to a new, must visit destination inJapan.